Best Single Family Kitchen Over $150,000 - Paramax Homes Ltd. Welcome to the Georgie Awards® website. 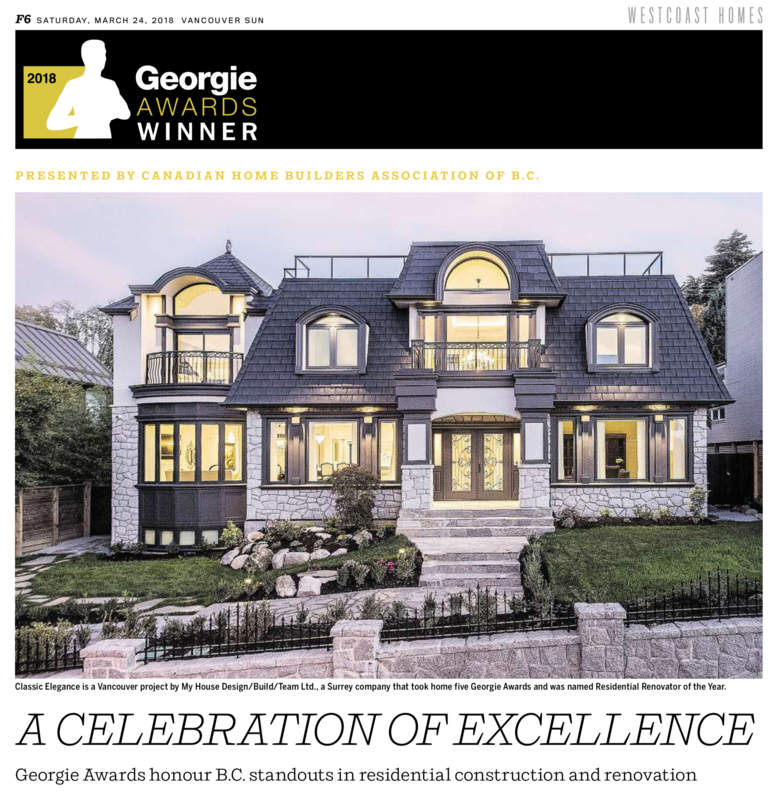 The Awards are recognized both provincially as a premier housing awards program that highlights and celebrates excellence in home building in British Columbia. Call for entries are now closed and will open again for 2020 entries in July. Projects product built. developed, created and/or marketed for the period of January 1, 2018 - September 30, 2019 are eligible. Projects and products built, renovated, developed, created and/or marketed for the period of January 1, 2018 - September 30, 2019 are eligible for the 2019 Georgie Awards®. Your company and/or associate company, must be a member of the Canadian Home Builders' Association of BC. Join today Click here to find your local association and join today. The 2019 Call for Entries are now closed. A full description of the 2019 Categories and Criteria is available for downloading here. The 2020 Call for Entries will open again in July 2019 for projects product built. developed, created and/or marketed for the period of January 1, 2018 - September 30, 2019. For information on joining the Association if you are not yet a member, please contact our office at, 604-432-7112 or Toll Free 1-800-933-6777 or e-mail, georgies@chbabc.org. Thank you to all the sponsors of the 2019 Georgie Awards® gala. For a list of our sponsors, click here. The 27th Annual Georgie Awards® Gala will celebrate with over 600+ guests held on Saturday, March 9, 2019 at the Hyatt Regency Vancouver. For 2019 sponsorship opportunities please contact Laura Chok at, georgies@chbabc.org.